← 2015 Sebring Sensation: Registration is now OPEN! 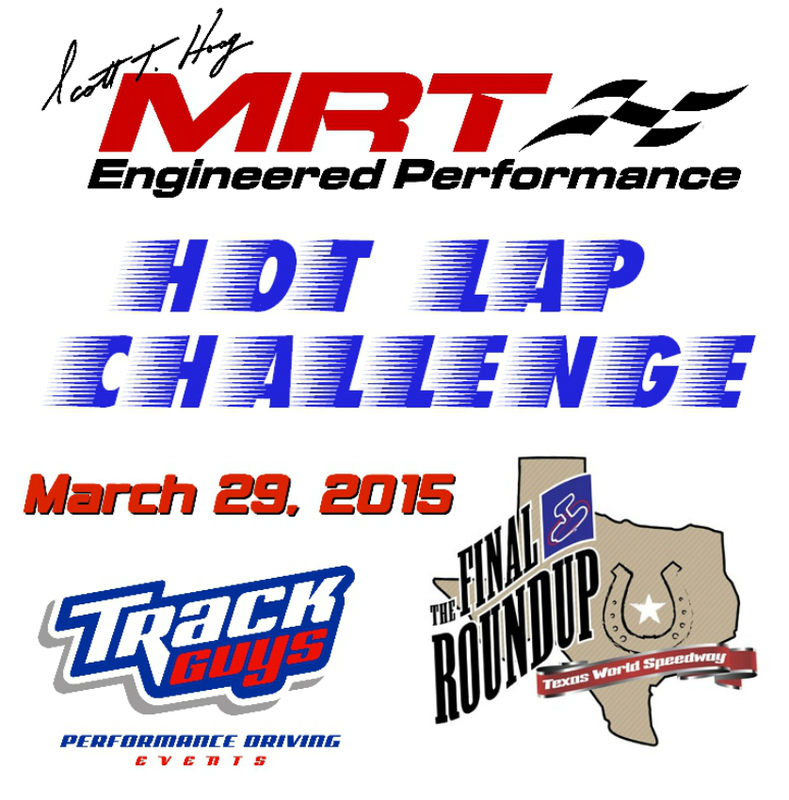 MRT Hot Lap Challenge is a time-trial event open to Intermediate, Advanced and Instructors at the Track Guys Final Roundup at Texas World Speedway on Sunday, March 29. The MRT Hot Lap Challenge will be run within the regularly scheduled Intermediate and Advanced run groups. It is up to each driver to navigate on-track traffic in a safe fashion while driving to collect their fastest laps. Drivers are allowed to return to pit road during the session in an effort to relocate themselves within the group of cars already on the track. Cars with significant performance modifications and that are primarily designed for track driving or all-out race-type vehicles. This category also includes any cars racing on sticker slicks. As with NASA, Conti takeoff slicks from Grand Am would be exempted in the Modified class. 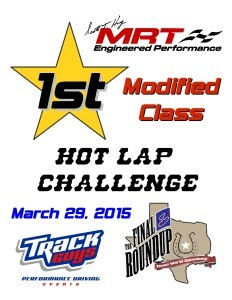 1) Only 50 MRT Hot Lap Challenge slots are available. If you want to secure your slot before the event, please email dell@trackguys.com ASAP. 5) During the timed sessions, ALL PASSING RULES will be in place and enforced by the track marshals/corner worker stations. 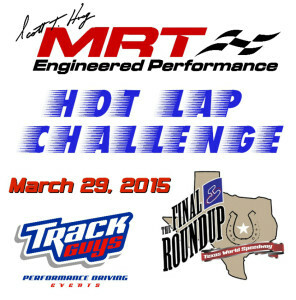 Additional procedures will be discussed at the driver’s meeting and MUST be adhered to during the MRT Hot Lap Challenge. 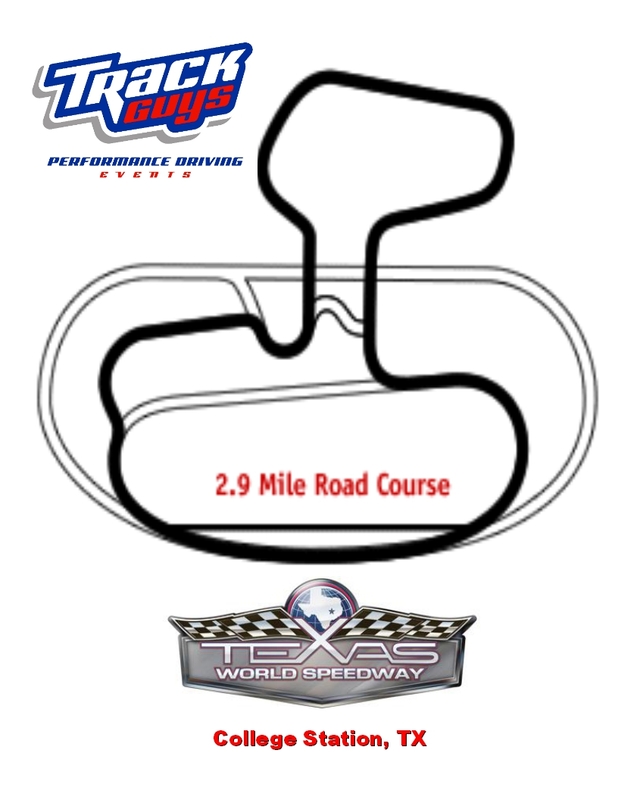 7) Awards will be distributed at 4 PM, with 1st, 2nd and 3rd place being awarded in Stock, Modified and Race classes. 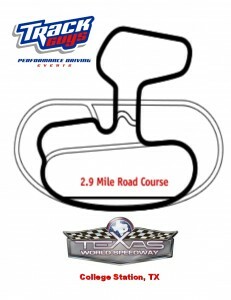 This entry was posted in Track Guys Events and tagged MRT Hot Lap Challenge, On-track performance driving, Performance driving, Texas World Speedway. Bookmark the permalink.